Archadeck of Columbus talks about previewing an upcoming deck in the Muirfield Village community in Dublin, OH. We also show you the innovative process of achieving radius edging when installing a deck. Homes within this Columbus suburb of Dublin, OH include a multitude of beautiful custom-built homes with the widest array of custom features inside and out. Archadeck of Columbus will be profiling one such residence in Muirfield Village later this month where we are installing a stunning new deck. With custom-built homes of this quality and stature it is important to hire a custom deck builder to install your decking as well. Custom deck builders, just like custom home builders have the experience, knowledge and capability to ensure your new deck has quality materials and workmanship poured into the structure. Custom deck builders also stay “in the know” when it comes to unique custom features that become popular. The world of decks is constantly changing to include many new features and innovative design concepts. One of the custom deck features that have become quite popular recently include a custom radius edging. 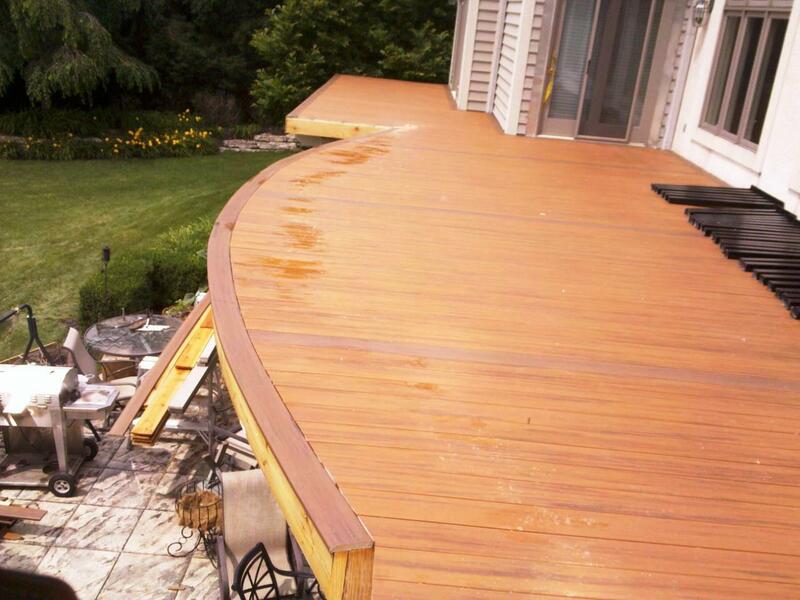 At Archadeck of Columbus, we really enjoy using radius edge decking. This story details the whole innovative process from beginning to end. We mold the decking boards into a curvilinear radius edging by heating the boards to a certain temperature in order to make them pliable. This process is fascinating to watch and we actually have video footage detailing the entire process. In this video, we show you how we heat the boards themselves. This entire process is fascinating to witness from start to finish, and ends with breathtaking results. With custom deck design, gone are the days of being confined to straight lines and edges in landscaping, patio designs, and deck designs. Flower beds now take on wondrous edging, and curving paths. Retaining walls even enjoy meandering curved paths down the sides of patios and landscape showcases. There are so many more options available to homeowners now.